White Sugar, Brown Sugar: Announcing...Book #5! I'm so excited to share the happy news with you! Poems for the Smart, Spunky, and Sensational Black Girl has been released on Amazon! · --- 23 sensational poems on topics such as: getting one’s hair done, slumber parties, a new sibling, the importance of one’s name, sitting in church, strong Black women, art, school, future job aspirations, and more. This book is the only one like it on the market! It’s contemporary, bright, and confidence-boosting! 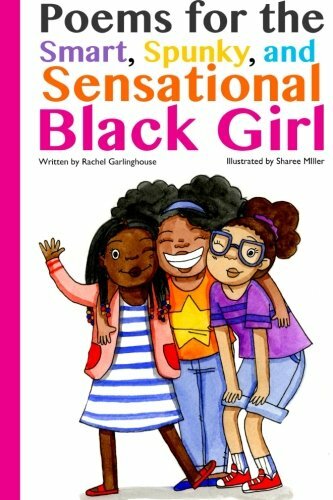 ---It’s formatted as a 6 x 9, much like many of the easy reader books you’ll find on store shelves, perfect for girls ages 5-8. I can't wait to hear what you think about it!